good news from my mint plant. it’s growing! i tried with a few cuttings but only one grows. but it grows quite fast! i browsed about mint planting and it’s said, this is one of the easiest plant to grow. i wish to have a whole bunch of mint then i can harvest the freshly picked mint for my tea. after failing a few times, finally one of the mint plant grows. i planted this from the leftover mint and just stick it into the ground. most of them didn’t make it, but this one survives. mint has a strong flavor. it creates another version of tea. a better one. i’m very clueless when it comes to planting. with the help some inspirations from pinterest, i started plating vegetables. this one is caisim from my smoothies leftover. it’s growing. and surprisingly it has flowers. a yellow ones. inspired from here, i tried to regrow the vegetables from scraps. my first attempt with pokchoy failed. the veggie rot. and then i tried again with caisim. the caisim i got has some roots. i placed it directly in the ground and so far it grows. slowly. wish me luck with the planting. i’m not sure i have green thumb but i’ll keep trying. i was so curious about my own post about the lily. first i looked for the photo of the lily i took in ullen sentalu back in 2007. and i found it! then i googled the exact name of this lily. according to wikipedia, it’s amazon lily, originally from south america (colombia and ecuador). it blooms about twice a year. no wonder i only saw this flower rarely. i saw this type of white lily at museum ullen sentalu in yogya years ago. it was beautiful. then mom planted bunch of plants at home in jakarta. they’re mostly just green leaves. but months later some flowers popped up. one of them is this white lily. now this lily appears in our backyard now and then. and still beautiful. we had a small garden at the back of our house. when my mom is around, she took care of it. she has green finger, but i don’t. we have harvested so many trees she planted. some trees were planted from a seed. lately i found some trees are growing fruit: soursop, chilli and lemon. it’s the second box of our growbox. and it grew soooo fast. and this time we sauteed the mushroom with broccoli. after waiting for almost a month, my growbox is finally turned into mushroom. it was so amazing to see how it grew from some little sprouts into huge mushroom. while one box grew rapidly, the other box show no sign of growing yet. let’s be more patient and wait! 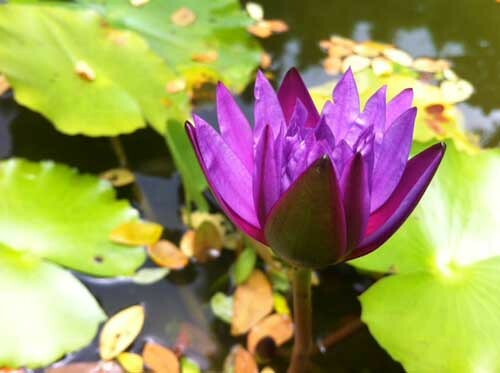 back to halo niko and took photo of the waterlily in the pond near the restaurant. it was a sunny day! good food. good weather. i got myself 2 boxes of growbox. i’m so excited to grow my own food! i’ve been taking pictures of lotus for countless times. this one is by the pond near halo niko restaurant on a sunny day. found the flower bloomed on a sunny day in mom in law’s house. it’s probably daisy/aster. a few days ago, jingga brought home a plastic cup with beans inside. i water the beans daily and now it starts growing! a tiny white spider appeared when i took the photo of the flower. not until a few days ago, i’ve never heard about pineberry. a white strawberry with red seeds, tasted like pineapple. it’s originally from south america and almost extinct. but nowadays it’s sold in europe. the images were taken about a week after the seeds were plated. out of 10 pots, only a few grow. maybe i should just wait a little longer. now rain starts pouring often. i’m afraid it will hurt the tiny plants . i hope they’re strong enough. this is what i prepared for the planting. and the seeds started showing little sign of life.